Oh, Hello Cinderella! Wrong Movie! Well, ok…. Imposter! You are not Cinderella! Cinderella, we finally found the real you. Welcome Back! Today, we will be watching the Disney classic, Cinderella. Cinderella is one of Disney’s most well-known films. If someone hasn’t seen a Disney movie somehow, than I would think this movie would be the best example to use as an introduction to Disney movies. Cinderella is not only a popular Disney movie, but it’s probably one of the most popular fairy tales. There are so many versions from numerous countries. The first version of the fairy tale started all the way in China anywhere from 816-907 AD. Disney was nearly bankrupt and had almost went out of business. That is until a princess with a glass slipper came along. Cinderella saved Disney. “It is considered one of the best American animated movies ever made,” selected by the American Film Institute. It received three Academy Award nominations, including Best Music, Original Song for Bibbidi-Bobbidi-Boo. It is the 10th highest animated box office and the 57th highest movie. Cinderella was the first Disney film to have its songs published and copyrighted by the Walt Disney Music Company. It is the first film to be worked on by all of the “Nine Old Men.” Cinderella has a score of 97 % on Rotten Tomatoes. According to the American Film Institute, it is considered the 9th best animated movie. Walt Disney’s favorite animation scene is when Cinderella’s transformation from her tattered pink dress to the silver dress. 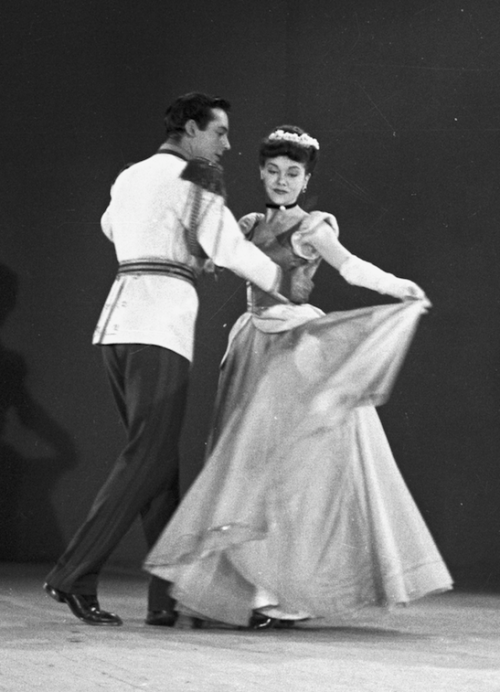 Cinderella was produced by Walt Disney and was distributed by RKO Radio Pictures. It was released February 15, 1950 in Boston. The rest of the United States saw it March 4, 1950. 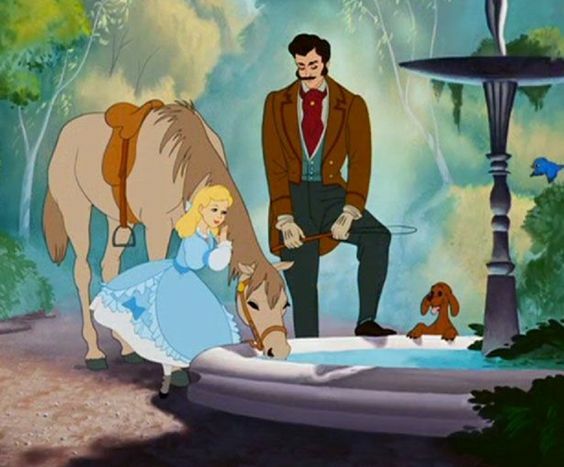 Cinderella is Disney’s 12th animated film and the 16th film overall. 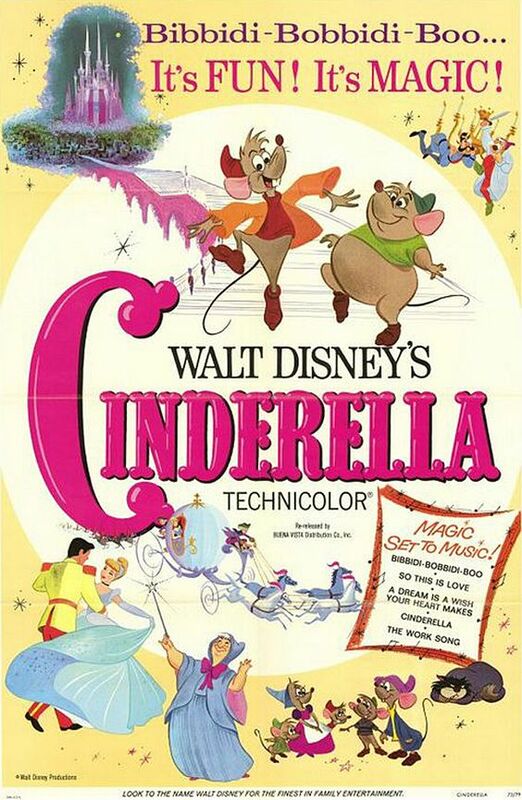 Cinderella was directed by Clyde Geronimi (The Three Caballeros, Make Mine Music, Melody Time-101 Dalmatians), Hamilton Luske (Snow White-Fantasia, Saludos Amigos, Make Mine Music-Melody Time, Cinderella-Lady and the Tramp, 101 Dalmatians, Mary Poppins), and Wilfred Jackson (Snow White-Dumbo, Saludos Amigos, Melody Time, Cinderella-Lady and the Tramp). Cinderella was written by Ken Anderson (Snow White-Fantasia, Saludos Amigos, The Three Caballeros, Fun & Fancy Free, Melody Time, Cinderella-The Rescuers, The Secret of NIMH), Perce Pearce (Snow White, Fantasia, and Bambi), Homer Brightman (Saludos Amigos-Cinderella, The Woody Woodpecker Show, Popeye), Winston Hibler (Melody Time-Peter Pan, Sleeping Beauty, The Aristocats, Many Adv. of Winnie the Pooh), Bill Peet (Pinocchio-Dumbo, The Three Caballeros, Fun & Fancy Free, Cinderella-Peter Pan, Sleeping Beauty-Sword in the Stone), Erdman Penner (Pinocchio, Fantasia, Make Mine Music, Melody Time-Sleeping Beauty), Harry Reeves (Saludos Amigos, Fun & Fancy Free-Cinderella), Joe Rinaldi (Dumbo, Fun & Fancy Free-Sleeping Beauty), Ted Sears (Snow White, Pinocchio, Saludos Amigos, The Three Caballeros, Fun & Fancy Free-Peter Pan, Sleeping Beauty), and Maurice Rapf (Song of the South, So Dear to My Heart, Gnomes). As mentioned earlier, Walt Disney was nearly bankrupt, because of World War 2. He lost the European market and most of his artists. 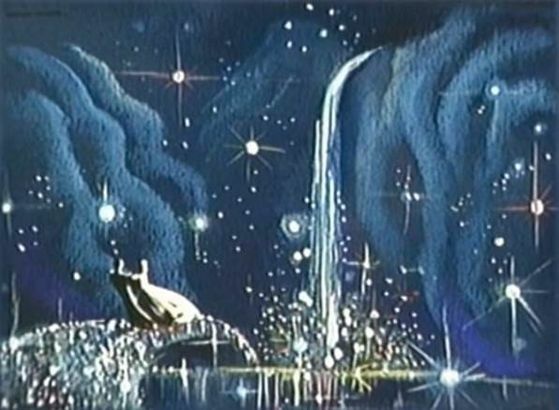 While, now, Pinocchio, Fantasia, and Bambi are classics, but originally, they were financial losses. Dumbo was the only one that made Disney some money. Bambi was their last full feature film. After, Bambi in 1945, Disney started making package films. The package films consisted of cartoon shorts put into one big movie. This was to help the studio stay afloat. It did keep the studio from going under, but it wasn’t an actual pay-off. The studio was over $4 million in debt. The budget was 2.9 million and the box office was 263.6 million. The 1930s and early 1940s, Disney movies really pushed the limits of film making and were really creative. They are considered the Golden Age. The 1950s and 1960s, Disney movies were considered to be some of Disney’s most beautiful movies and were more financial, but they weren’t as creative or pushed any limits. They are the Silver Age. Cinderella, is put in the Silver Age. Most people agree that Cinderella, is a combination of the two eras. 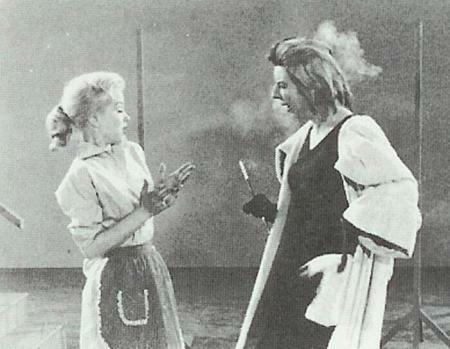 The live-action model (Helene Stanley) and the voice actress that played Cinderella (Ilene Woods) influenced Cinderella’s styling and mannerisms. Helene also was the live-action model for Anastasia (Cinderella’s step-sister), Aurora (Sleeping Beauty), and Anita (101 Dalmatians). The animators modeled Prince Charming on actor Jeffrey Stone who provided additional voices for the film. Mike Douglas was the Prince’s singing voice while William Phipps recorded the Prince’s speaking voice. Like, Snow White, Cinderella’s prince was going to have more of an active role and have more character development. In one sequence, the Prince was shown hunting a deer, but at the end, it was revealed that the Prince and the deer were friends playing a game. In an alternative ending, when the Duke discovers the real Cinderella. Cinderella was shown being brought to the castle to be reintroduced to the Prince, but the Prince is surprised to learn that Cinderella was a servant girl instead of a Princess. The Prince doesn’t care in the end though, because his feelings were too strong for her and he embraces her. 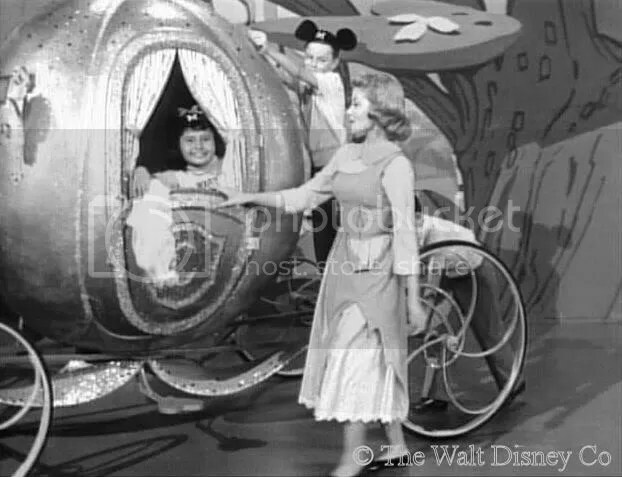 Then the Fairy Godmother reappears and transforms Cinderella into her ball gown for the final shot. Walt Disney decided to not use this, because he felt it was overlong and wouldn’t give the audience its pay off. The alternative ending does get shown in Kingdom Hearts. Other deleted scenes include an abandoned song titled “Cinderella Work Song.” It was set to take place after Lady Tremaine tells Cinderella that she can go to the ball if she finishes her chores and has a dress. 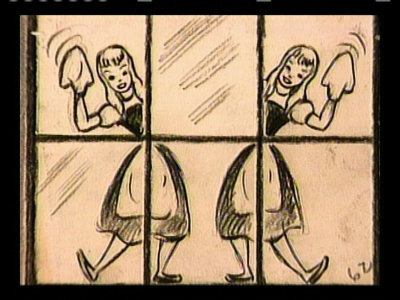 Cinderella then imagines herself being cloned into an army to divide up the work while pondering what the ball is like. There is another scene that took place after the ball. Cinderella returned home and was eaves dropping on her family talking about her without knowing it was her. Cinderella is amused by this, but Walt Disney cut this out, because he thought it made Cinderella too spiteful. Ilene Woods (voice actress) beat exactly 309 girls for the part of Cinderella with demo recordings of her singing a few of the songs were presented to Walt Disney. However, she didn’t know she was auditioning for the role until Disney contacted her. She made the recordings for a few of her friends who sent them in without her knowledge. Walt thought that Woods had a fairy tale tone to her voice. The scores are by Oliver Wallace (Dumbo, Make Mine Music, Fun & Fancy Free, Adv. of Ichabod & Mr. Toad-Lady and the Tramp) and Paul J. Smith (Snow Whit-Fantasia, Bambi-The Three Caballeros, Fun & Fancy Free-Cinderella). The music/words/songs is by Mack David (Alice in Wonderland, 77 Sunset Strip, Lawman), Jerry Livingston (Alice in Wonderland, 77 Sunset Strip, Lawman), and Al Hoffman (Alice in Wonderland, 20,000 Leagues under the Sea, Ocean’s Eleven). This was the first time Walt Disney turned to Tin Pan Alley (song writers) to write the songs. The music of Tin Pan Alley became a recurrent theme. Cinderella was the first Disney film to have its songs published and copyrighted by the new Walt Disney Music Company. During that time, music soundtracks weren’t really a thing. They weren’t marketable and the songs were sold to established music companies for sheet music production. “Bibbidi-Bobbidi-Boo” became a hit single on four occasions. There was a cover version recorded by Perry Como and the Fontane Sisters. The soundtrack was re-released for Walt Disney records on CD on February 4, 1997 and included a bonus demo. On October 4, 2005 a special edition of the soundtrack album of Cinderella, this includes several songs that were cut from the movie. As mentioned earlier, Cinderella is one of the most popular fairy tales. It has numerous versions coming from all over the globe. The first is from China: Ye Xian. It appeared in Miscellaneous Morsels from Yuanyuan by Duan Chengshi around 860. Then an Indonesian and Malaysian story called Bawang Merah Bawang Putih. Another version exists in the Philippines. Vietnam’s version is called Tam Cam. In Korea, the version is called Kongjwi and Patjwi. Several variants of Cinderella appear in One Thousand and One Nights/Arabian Nights. Cinderella appears in Britain from the story Cordelia in Geoffrey of Monmouth’s Historia Regum Britanniae. Maah Pishooni appears in Iran. In Pentamerone (1634) in Naples, Italy appears Cinderella. 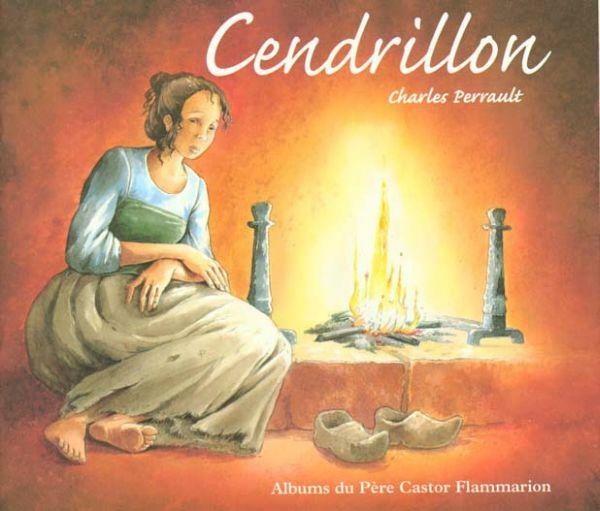 The most famous is Cendrillon by French author Charles Perrault in 1697. The German Grimm’s Brothers in 1812 is Aschenputtel. There are 1000’s of other versions, but these are the main versions of Cinderella. The original story (Disney’s version) is based on Cendrillon by Charles Perrault. Charles Perrault was a French author. He is known for Little Red Riding Hood, Sleeping Beauty, Puss in Boots, and many more. Disney’s version is similar to Perrault’s for the most part, but there are a few changes. In Perrault’s version, Cinderella was a spiteful nickname derived from the word “cinder” where she slept. Disney’s birth name is Cinderella. In Perrault’s version, Cinderella hid her abuse from her father, because he would’ve scolded her. He was entirely ruled by his wife. Cinderella never had any animal friends. It wasn’t one night, but two nights that Cinderella fell in love with the Prince. There were two balls, and the second ball is where everything happened. Cinderella also wore two different balls and slippers. The stepsisters plead for forgiveness which Cinderella does. They marry two lords. There is no mention of her father or step mother after the beginning of the story. 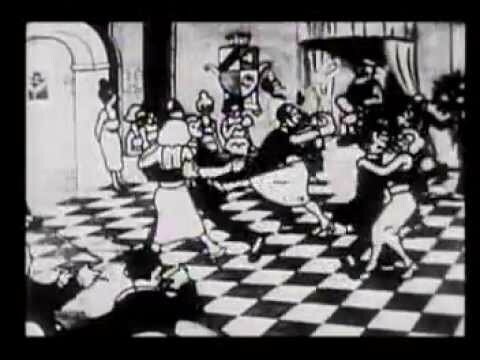 Almost 30 years, before Walt Disney made Cinderella, Walt Disney made a short film of it as the last Laugh-o-Gram. The transformation of Cinderella’s dress is Walt Disney’s favorite piece of animation. The Prince isn’t called Prince Charming or any other name in the movie. The carriage that Cinderella and Prince Charming take after the wedding has a hidden mickey on it. The animators were having trouble animating Lucifer. So, they ended up animating it after Ward Kimball’s cat. 90% of the film was done in live-action before animation. Helene Stanley was a live-action model for Cinderella, Anastasia, Aurora, and Anita. 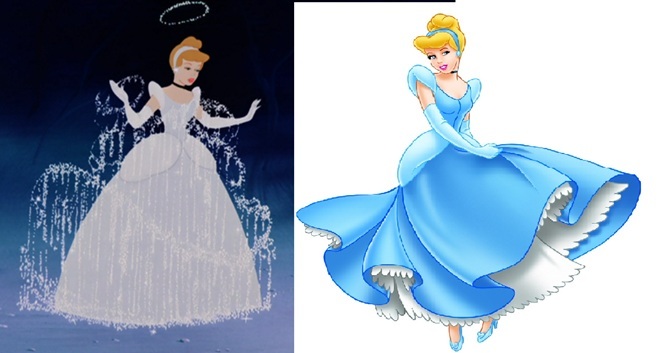 In the actual movie, Cinderella’s dress is a very light pale blue that looks nearly white. 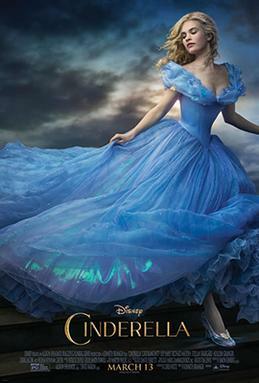 But later, in promotional materials, Cinderella wears blue. She also originally has light orange hair, but sequels depict her as a blonde. Mike Douglas auditioned for the role of Prince Charming, but only got the singing part, because of his Chicago accent. All the animals originally were going to speak. Major had a song called Horse-Sense which she sang with Bruno. Walt Disney said Cinderella was his favorite fairy tale, because he saw himself in her shoes since they both worked hard and got rewarded for their work. A song called Dancing on a Cloud was cut from the film. 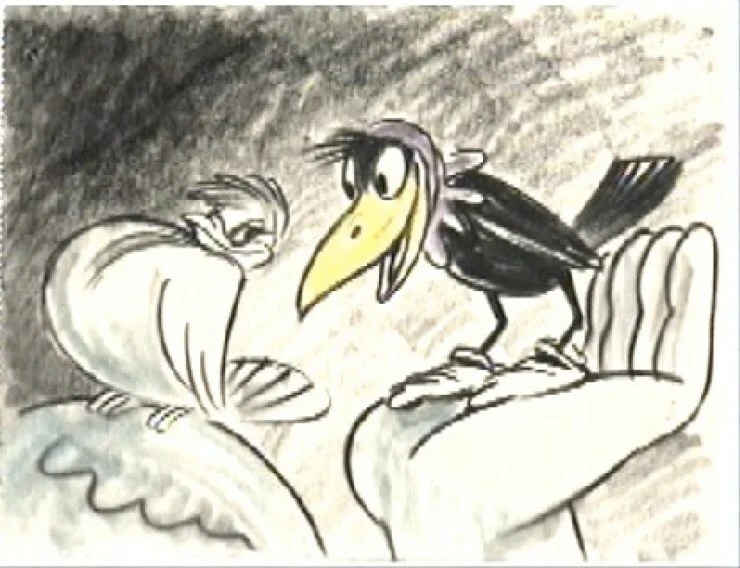 Originally, there was a crow named Jabber with a dove for a love interest was originally in the film; he would’ve reported the news of the ball. Cinderella was going to have a pet turtle named Clarissa. Clarissa would’ve been transformed into the lady-in-waiting and fallen in love with Prince Charming’s valet. Professor LeFoot was Anastasia and Drizella’s music teacher. 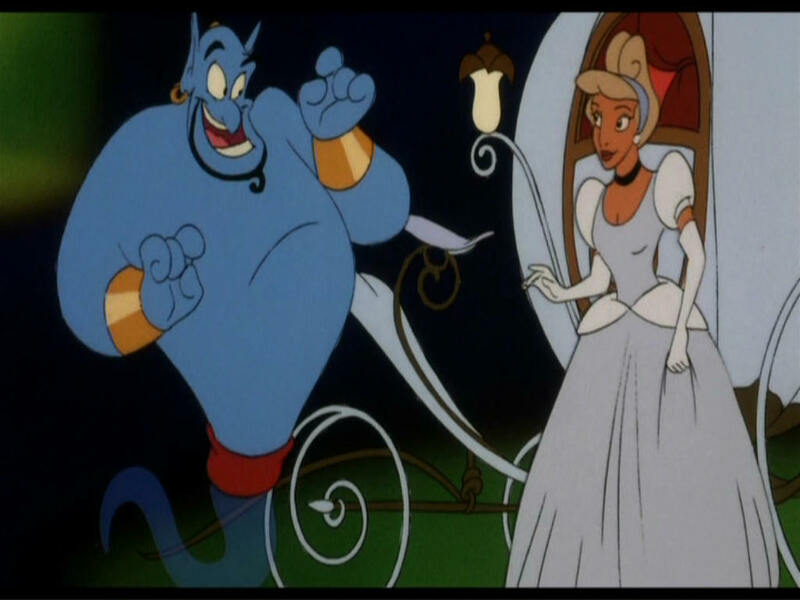 Cinderella appears in Aladdin and the King of Thieves. 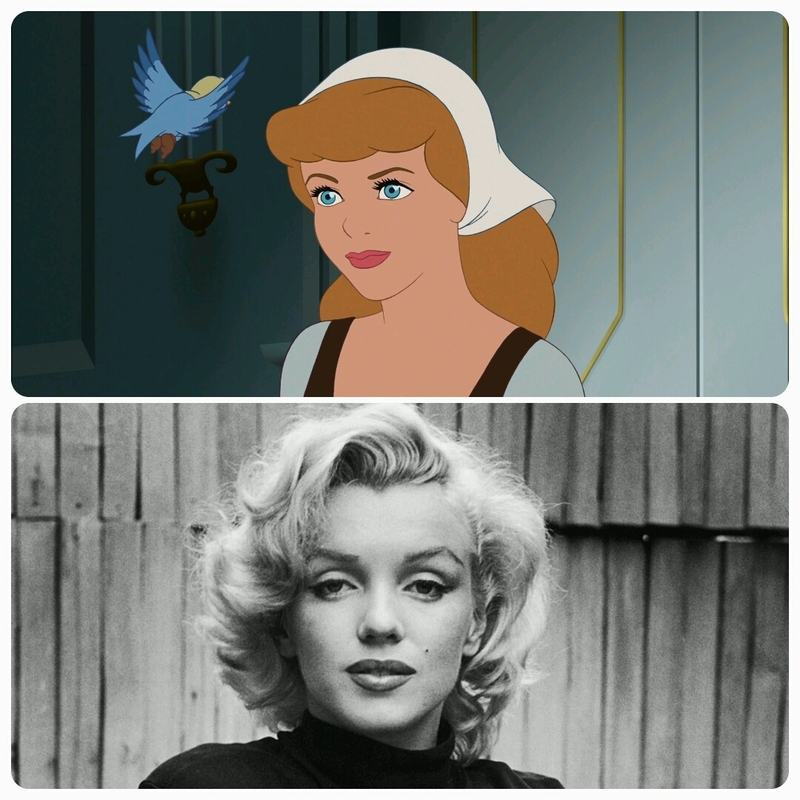 There was a legend that Marilyn Monroe was the physical model of Cinderella. A critic said Cinderella was too voluptuous. In 1954, Marilyn Monroe was the queen of voluptuousness. But, Marilyn Monroe was neither connected to the Disney studio nor known in 1949, but that still did not stop the rumors. Cinderella is the first princess to be shown as a child. James MacDonald the voice of Jaq and Gus was the voice of Mickey at the time. 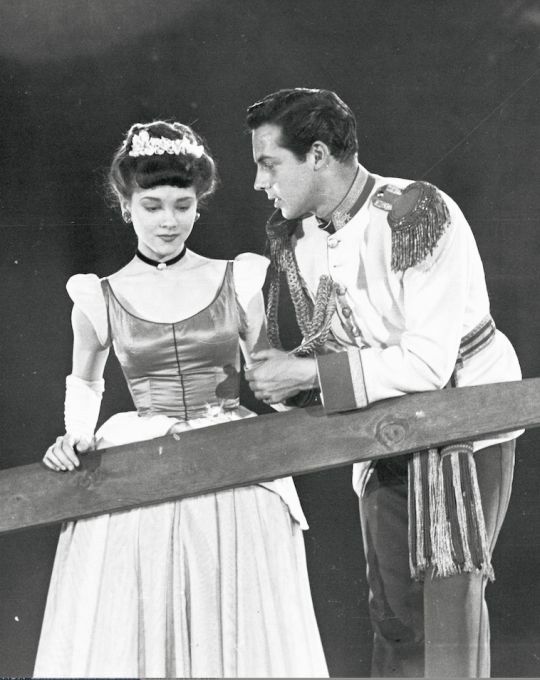 Prince Charming was inspired by his live-action model/actor Jeffrey Stone. He was also inspired by the actor Gene Kelly. Ken O’ Conner looked to his wife, Mary Alice O’Connor, for inspiration when designing the Fairy Godmother. He tried to imagine how she’d look a few decades older. Lucifer was originally going to be Cinderella’s cat and in some versions female. 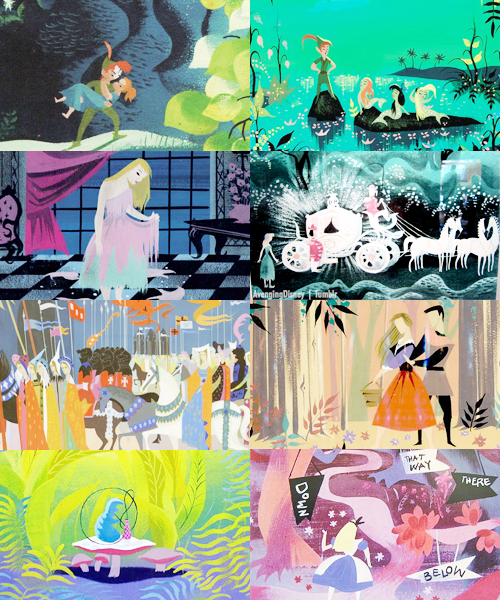 Mary Blair was the main key position. She was in charge of color and styling. She was very influential in Disney movies, particularly Alice in Wonderland and Cinderella. It received 3 Academy Award nominations for Best Sound, Best Original Score, and Best Song for “Bibbidi-Bobbidi-Boo” in 1951. It won the Golden Bear award (Music Film) and the Big Bronze Plate award at the 1st Berlin International Film Festival in 1951. It was nominated for the 1960 Golden Berlin Award. It was nominated for the Hugo Awards in 1951. It was nominated for the Satellite Award in 2005. It won the Special Jury Prize at the Venice Film Festival in 1950. It was nominated for the Golden Lion in 1950. It won the Former Child Star Lifetime Achievement Award at the Young Artist Awards in 1999. 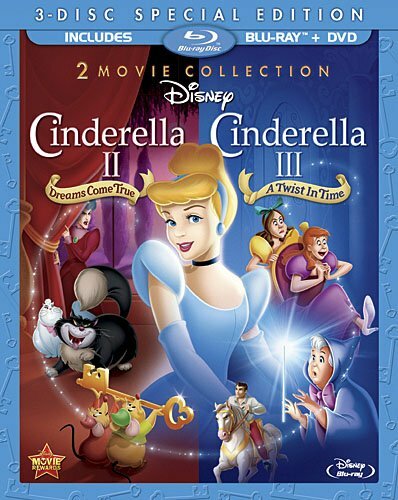 In 2008, the American Film Institute revealed Cinderella as the 9th Best Animated film. It was nominated for Best 100 Movies, Best 100 Passions, Best 100 Heroes and Villains (Lady Tremaine), Best 100 Songs (Bibbidi Bobbidi Boo and A Dream Is a Wish Your Heart Makes), Greatest Movie Musicals, and Best 100 Movies (10th Anniversary Edition). Cinderella has a score of 97% on Rotten Tomatoes. Disney claimed that if Cinderella was a failure, then the studio would have to close. The film was a box office success and allowed Disney to keep making films. It was the 5th most popular movie at the British box in 1951. Others have pointed out that the movie shows that a woman’s goal in life is to get married. That woman’s places are only in the home. That beauty is the only reason Cinderella was chosen. It influences women that they have to be beautiful, skinny, and white to be a princess and things like that. People state that Cinderella is the worst role model for women. She is passive, never does anything for herself, and waits around to be saved from her situation. Some accuse her of being a gold digger and some suggest that she should’ve ran away or fight to escape her situation. The Prince only falls in love with Cinderella, because she is beautiful. Also, that since Lady Tremaine is old, and then old people are evil (or something like that). Alright, so first I’m not sure why people say that Cinderella should’ve left or done something. What do people expect her to do? This wasn’t the 21st century. This was the 1800s. If people still today, have trouble escaping bad situations, wouldn’t it be more difficult in the past? If Cinderella escaped, than she would’ve either a) been a prostitute or b) homeless/dead. Women didn’t have alternatives like now. She really didn’t have any other options besides stay. She was also absolutely terrified of Lady Tremaine. While, there is no evidence that Lady Tremaine physically abused her, there is evidence that psychologically she abused her. That obviously messes with someone. Cinderella did the best with what she could. Cinderella isn’t weak at all. She deals with a ton of crap. She is literally a slave in her own house. The woman that is supposed to love and care for her hates her and abuses her. The step-sisters aren’t any different either. They are incredibly mean. She is so lonely that she befriends the animals. She also has to constantly clean, cook, and whatever else they order her to do. She doesn’t get any time to herself. Also, she isn’t a weak character. She is very snarky. Whenever someone tells her something, under her breath, she’ll say things. She isn’t the confrontational type, but I don’t see why that is a bad thing. A lot of people are like that, including me. Cinderella isn’t a gold digger either. She doesn’t even notice that Prince Charming is a Prince until the next day. Her dream isn’t to be rich or be a princess. Her dream is to escape from the hell she lives, even if it is just for one night. I don’t think that makes her a bad person or bland. Everything that she has been through, I think she deserves at least one night of freedom. She just happens to fall in love with a Prince. It is the same as Ariel. Her goal was to be a human, but the icing on the cake was Eric. The whole “woman’s goal in life” is to marry and stay home, and that is Cinderella’s fault. I don’t understand how that is Cinderella’s fault. That was how it was like in the 1800s and the 1950s. Cinderella was a product of her time. It isn’t fair to hold her to our standards of today. As I stated previously, Cinderella did the best she could with the options that were given to her. Besides, Cinderella didn’t just do nothing to obtain her dream. When her stepmother gave her ridiculous demands, instead of not doing anything, she went to work right away to try to make her dream come true. Then the next morning, when she finds out about the Duke, she makes every effort instead of staying with her family to go to the Duke and try on the glass slipper. Then the argument about Cinderella influencing women that they have to be skinny, beautiful, and white. I hate this argument. First, Cinderella is a cartoon character. She isn’t real. It isn’t her responsibility to be a role model. It is up to parents to discuss to their children that it is fantasy. Also, she had a live-action actress along with all of the other Disney princesses and characters. She was based on Helene Stanley. Anyways, someone doesn’t have to be white, skinny, etc. to be Cinderella or any of the Disney characters. The beauty of Disney is that anyone can be Disney. “Cinderella only got saved, because she was beautiful. If she was ugly, she wouldn’t have been saved.” Well, one there is no way to know that, so assumptions shouldn’t be made. Also, Cinderella wasn’t just beautiful on the outside, but beautiful on the inside. Her animal friends didn’t care about her beauty, but they still saved her countless times. At the ball, there were countless of beautiful women. Yet, the Prince wasn’t interested in any of them. Cinderella wasn’t prettier than any of them, but the Prince felt there was something different about Cinderella. That is what ultimately what caught his interest of Cinderella. Also, Cinderella wasn’t saved by some Prince like everyone thinks. The Prince never saves her at all. He doesn’t even go look for her. It was the Fairy Godmother (a woman), her animal friends, and herself that save her out of her situation. The Fairy Godmother helps her because Cinderella has always been kind and good. The animal friends help Cinderella, because she is a friend to them. She helps them and they help her. Like Snow White, it is their personalities that end up saving them. Last, the reason “Lady Tremaine is evil is because she is old.” I don’t know where people come up with these dumb theories, but that doesn’t make any sense. Lady Tremaine is actually really pretty, just like the Evil Queen. The things that make them ugly are what are on the INSIDE. It isn’t the outside that makes them ugly. The Fairy Godmother is an older and bigger woman, but she is still good. “Accepting such help doesn’t diminish Cinderella’s strength of character, but enhances her in recognizing that she, like all of humanity, will never be perfect. Her handsome prince and happy ending aren’t only a reward for her righteous dealings with her step-family, but also for her strong actions in changing her own future, regardless of what help she received.” (nerdology.org) So, I think I covered everything and got my point across. That is all I have to say about those issues. Cinderella, along with most other Disney movies, doesn’t have a set location or time period. They are basically just their own fantasy place. But, if they were set in the real world, this is where I believe they would be. The village is shown to have gas lamps near the roads, which strongly implies that Cinderella takes place during the early to mid-19th century (as that was when gas lamps entered development). Along with all that, there are all the French names, most of the clothing (not really Cinderella’s but the others), the chateau, and the original author being in France in the 1870s-1880s. So, that combined with the earlier evidence is why I think it is France. So, I believe Cinderella is set in France in June of either the 1870s or the 1880s. Cinderella: Strawberry-blond wears a brown and white maid outfit. She also wore a frilly, pink and white dress with pink ribbons. Her iconic outfit is a very light blue (closer to silver) sparkly ball gown with white gloves, glass slippers, a choker, and an up-do. Her wedding dress is a white dress with a petticoat and tiara. Her estimated age is 19. While, she was raised in abuse and slavery, Cinderella still remained kind, sweet, and humble. Cinderella always remains optimistic of the possibilities of a brighter future. She rescues the mice and maintains strong friendships with the mice and other animals. 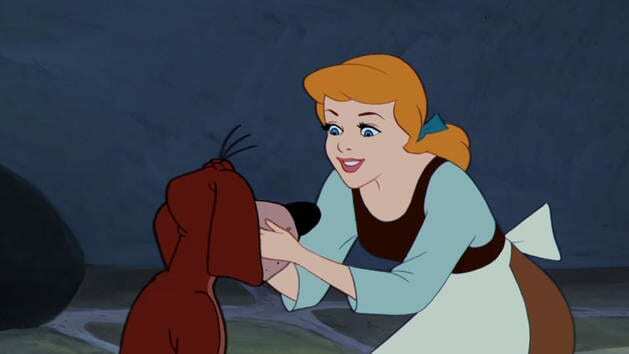 While obedient, Cinderella has shown numerous times that she is witty and sarcastic. Her goal is to escape her life of misery and abuse. Prince Charming: The love interest of Cinderella. He has short brown hair with a cream royal jacket, red pants, and black boots. Prince Charming does not show any interest in any of the other females that are interested him until he sees Cinderella who does not seem to care about his status. It shows that he wants someone that would want him for him, and that he doesn’t care about tradition. He also wants to marry for love. Other than that, he doesn’t really have any personality until Cinderella 3. (His real name is not Prince Charming. He only gets the name from merchandise. Like, The Prince in Snow White, he is never given a name, but to differentiate the Princes from the movies, I will call him Prince Charming. Lady Tremaine: Lady Tremaine is an older woman with grey hair, green eyes, and a red dress with a cane. The villain of the movie. She is Cinderella’s stepmother. She doesn’t harm Cinderella physically, but she abuses her mentally. She is jealous of Cinderella. She is a socialite who wants to be rich and of higher status. She strongly believes in grace and self-control. She has a sinister glare. She is very manipulative, cruel, jealous, and spiteful. Anastasia Tremaine: Anastasia is the youngest sister and the step-sister of Cinderella. She has red hair and wears a long magenta gown. Anastasia dislikes Cinderella. She is selfish and spoiled. She is ungraceful and mean. She does know how to play the flute, but has big feet. She tends to fight with her sister, Drizella. Drizella Tremaine: Drizella is the oldest sister and the step-sister of Cinderella. She has dark brown hair and wears a yellow-green dress. Drizella is ugly on the outside and inside. She isn’t graceful and has a terrible voice. She tries to destroy Cinderella’s life and is very jealous of Cinderella. She is selfish, spoiled, and greedy. She has big feet. Jaq: Jaq is a skinny little mouse that wears all red. He is the leader of the mice and best friends with Gus. He cares about Cinderella. Jaq is very brave. He confronts Lucifer the cat. Jaq is very smart and loves to talk. Gus: Gus is a bigger mouse that wears a little yellow shirt and green hat. His real name is Octavius. Gus isn’t that smart and he can’t really speak as well as Jaq. He is very kind though and cares a lot about Cinderella. He loves to eat. Lucifer: Lucifer is a poofy, black cat. He is evil. He is sneaky, wicked, and loves to eat mice. He is spoiled and his loyalty is only to Lady Tremaine. He tries to sabotage Cinderella’s plans. He also likes to get the other animals in trouble. Lucifer is clever and cunning. 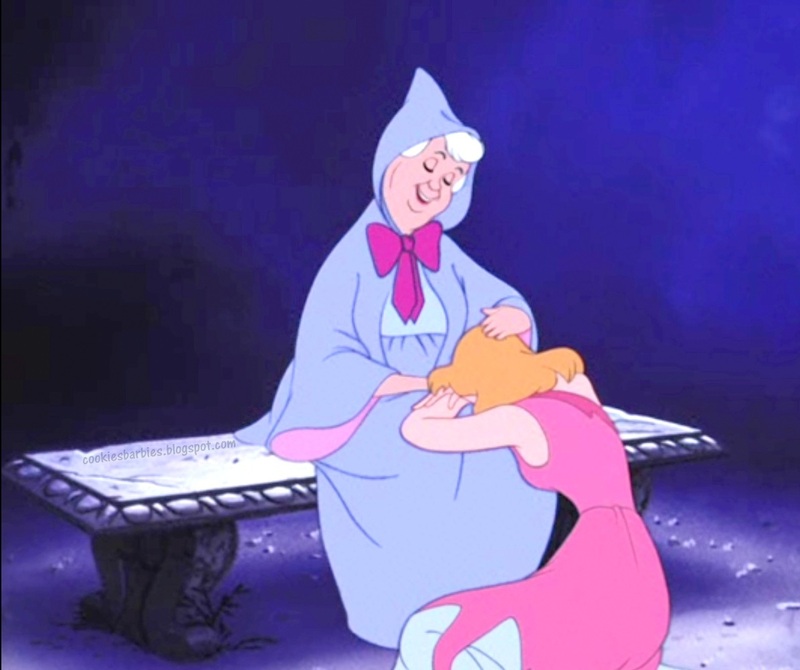 Fairy Godmother: Fairy Godmother is a plump older woman with a pink bow and blue cloak. She is a kind and genuine with a pure heart. She serves as hope in Cinderella’s life. She is wise, but absent-minded, tending to forget things easily. She dislikes when others are cruel. 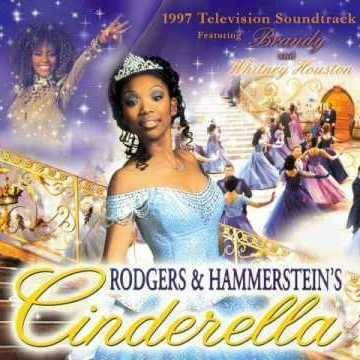 Cinderella: Introduction song that plays over the beginning credits. A Dream Is a Wish Your Heart Makes: Cinderella’s anthem. Cinderella sings as she is waking up about to start her day. Cinderella uses the song to encourage herself and her friends to never stop believing. The song’s theme is shown constantly throughout the movie. Oh, Sing Sweet Nightingale: It is first sung badly by Drizella as Anastasia plays the flute. Then Cinderella sings as she mops up the floor. She uses it to make her work less unbearable. The Work Song: It is sung by the mice as they help fix Cinderella’s dress. The mice use the song to get the work done. Bibbidi-Bobbidi-Boo: It is sung by the Fairy Godmother as she casts the spell to transform Cinderella’s dream into real life. It is used to create magic. So This is Love: The love ballad sung by Cinderella and Prince Charming. They sing it as they dance in the ball. It is used to show the two falling in love. It has been awhile since I’ve seen Cinderella, but I used to watch it all the time when I was little. I loved Cinderella. I already own the DVD. I did find it on YouTube, but it is in small clips. Basically, Cinderella is born to wealthy parents who live in a French chateau. Cinderella’s mother passes away, and her father believes that Cinderella needs a mother figure. So, he remarries to Lady Tremaine who has two daughters around Cinderella’s age. Cinderella’s father died and Cinderella was left alone with her step-mother and step-sisters. Lady Tremaine hated Cinderella. She essentially treated Cinderella as a slave in Cinderella’s house. She abuses her psychologically, and her step-sisters are extremely cruel to her. Cinderella’s only escape is to dream of a better life. She becomes friends with the animals in the house: birds, mice, a dog, and a horse. They all help each other. Then we go to the King whose wish is to have grandchildren, but his only son doesn’t seem to want that. So, the King decides to hold a ball where all eligible maidens can attend in hope that his son will be interested. So, he sends the invites out. Cinderella gets the invites and shows her “family.” Lady Tremaine says Cinderella can go if Cinderella finishes her chores and finds a suitable dress to wear. Cinderella decides to revamp her mother’s dress, but she doesn’t have any time. She has to do her long list of chores. So, the mice and the birds decide to help Cinderella. They make her dress by taking things that the other step-sisters didn’t want and show Cinderella. Cinderella finishes her chores and has a suitable dress to wear. Lady Tremaine doesn’t want Cinderella to go. So, she manipulates her daughters into destroying the dress, and then they leave Cinderella there. Cinderella is devastated and sobs. Then the Fairy Godmother appears and grants Cinderella’s wish. 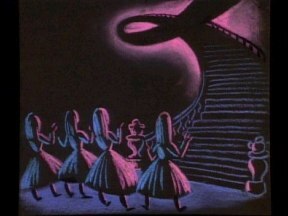 In one of the most magical piece of animation, Cinderella and her friends are transformed suitable for a ball. Cinderella leaves and appears at the ball, but she has only till midnight and the magic will go away. She ends up dancing with the Prince who she doesn’t know who the Prince is. They fall in love, but Cinderella has to leave before the clock strikes. The Prince tries to chase her, but misses her. She ends up leaving a slipper. Cinderella ends up home, back to how she looked before. The next morning Lady Tremaine notices Cinderella humming and realizes that Cinderella is the girl at the ball. So, she locks her up. The King sends the Duke to look at all the woman’s feet to find the missing girl. They end up at Cinderella’s place. They try it on Anastasia and Drizella, but their feet are too big. Jaq and Gus end up getting the key from Lady Tremaine’s pocket, and letting Cinderella out. I am glad they decided to take out the dream sequence where Cinderella imagines multiple versions of herself and she’s singing. The segment would’ve taken away the dreamy feel to Cinderella which is the main point of Cinderella, and the song wasn’t that good. It doesn’t go with the movie. I’m glad that they chose So This is Love instead of Dancing on a Cloud. The previous song is better and the scene goes well with it. I do wish they kept a few scenes from the Dancing with the Clouds, because they were really pretty. Most of the deleted songs and scenes didn’t really fit the movie, so I am glad that they didn’t use it. Most of the characters are really good from minor to major characters. Lady Tremaine is a full-fleshed villain. She is menacing, memorable, and just the way a villain should be. Anastasia and Drizella are definitely what I would think of the ugly step-sisters. All the animal characters are great and although minor characters, they really help bring out the movie, especially Lucifer. Although, the Fairy Godmother is only in one scene, she is very memorable and entertaining. The King and Grand Duke are funny. Cinderella is a wonderful character. She is beautiful on the outside and inside. She is kind, optimistic, sassy, and brave. She is what a princess should be. The music is absolutely beautiful. They really fit the movie and give it this dreamy feel which is the core of Cinderella. There is only one song that isn’t necessary for the movie, but it is a beautiful song. The scores are amazing and they help set the tone. When Cinderella is locked up and the score is playing, you can feel yourself tensing up. The animation is absolutely stunning. 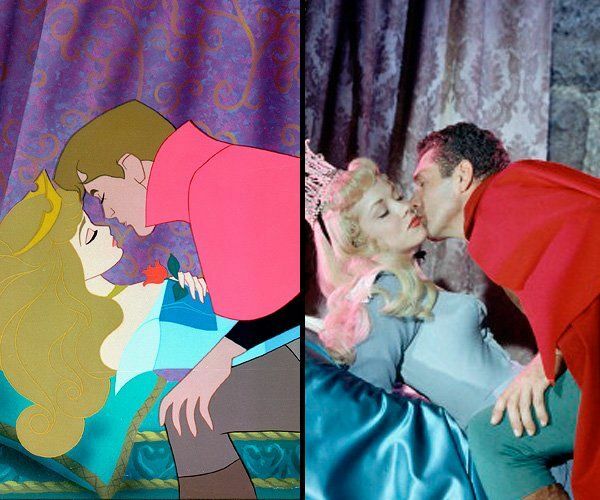 The segment with Cinderella’s transformation is Walt’s favorite piece of animation, and for good reason. It is one of the most stunning pieces ever, and even the few people that dislike Cinderella like that scene. It is iconic and memorable. The entire movie is just beautiful. The voice actors are amazing. All of the actors are iconic and most go on to play other roles in Disney. Ilene Woods was an amazing choice for Cinderella. She really captures Cinderella. Eleanor Audley is an amazing Lady Tremaine. She captures her perfectly. I could never imagine anyone else doing her voice. Verna Felton is an amazing Fairy Godmother. And, so are all the other voice actors. The story has a few holes, but for the most part it is really good. It takes most of the book, but still makes it into its own. It is iconic and has become the most memorable Cinderella. So, the other things that bother me are the mice. I do like Jaq and Gus, but it seems like they are the majority of the movie. I think the movie should’ve focused more on Cinderella and Prince Charming. Keep the mice for the important parts, but get rid of them for the other parts. Put Cinderella in it or The Prince and just add more to their personalities or their relationship. I feel like that could’ve helped the movie so much and stop a lot of the criticism that it gets now. Some of Cinderella’s clothing bothers me. They seem so “modern” instead of 1800s and it looks kind of out of place. Don’t get me wrong, they are beautiful, but when you look at it, next to the rest of the movie. It just looks weird, especially the pink dress and the wedding dress. Cinderella’s ball gown isn’t that bad. It looks a lot older, but the pink and wedding dress look like they are from the 1950s. I think that is also why people complain about Cinderella not escaping her situation, because she looks like a “modern” princess and she could just “escape.” (I don’t believe that, but I think that might be why the critics think that) I think if they were to make the outfits older, then it would solve some of the complaints and make the movie look better. Also, this doesn’t have to do with the movie, but I can’t stand what they did to Cinderella now. 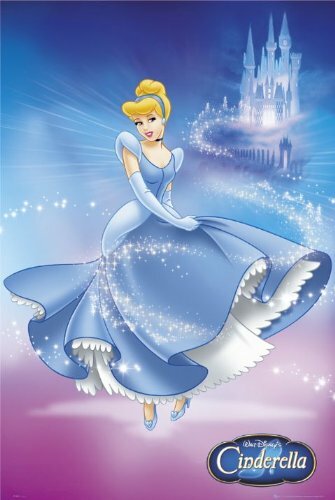 Cinderella has been shown mostly with blond hair and a blue dress, but as seen in the movie; Cinderella wears a closer to silver color and strawberry-blonde (orangish) hair. She doesn’t wear that blue or blonde hair, but everyone thinks she does, because of marketing. Now, they have Cinderella just completely different and she looks so terrible (along with the other princesses). I just can’t stand it. Cinderella is an amazing Disney classic. It has been iconic and memorable for decades. Cinderella has top-notch animation, beautiful music, amazing characters, voice actors, and a great story. The characters are full-fleshed, even the minor characters. Cinderella is an impressive princess who has a heart full of gold. Lady Tremaine is a terrifying villain that works so well, because she could be anyone in the real world. The side characters are funny. The only problem with the characters is some of the minor characters tend to occasionally overshadow the major characters. Also, Prince Charming lacks personality, but that has to deal with the original story and the animator’s lack of confidence in making a realistic prince. Besides that, Cinderella doesn’t have any problems. It is truly a beautiful film and will be remembered for more decades to come. I do recommend to both adults and children. Overall, I rate is an A+. My favorite character is the iconic Cinderella. She isn’t my favorite princess, but I could relate to her. She’s trapped in a situation that she can’t escape from and she deals with it the best way she knows how to. She is quiet, sweet, sarcastic, and snarky. She is loved, because she is beautiful on the outside and inside. My favorite song is Sing, Sweet Nightingale. I know that it doesn’t really have a point in the movie, but I think the song is really pretty. The song is addicting and will get stuck in your head. Ilene’s voice is absolutely beautiful. The animation surrounding the song is beautiful. Also, I thought it was cool the first time harmonies and double recordings were used. My favorite scene is when Cinderella’s dress is transformed. It is one of the most beautiful pieces of animation. Cinderella was so sad, and then her whole face just lit up when she saw herself. Something so little made her unbelievably happy, and it was just really sweet. What did you think of the movie? Who was your favorite character? Next, up would’ve been Erase una vez, but I can’t find nor does it have a Wikipedia page. It was directed by Alexandre Cirici-Pellicer. It was from Spain and traditional. Then it would’ve been Immer Wieder Gluck, but I can’t find it either nor does it have a Wikipedia page. It was directed by Ferdinand Diehl. It was from West Germany and stop-motion. The next movie would’ve been Prince Bayaya, but I can’t find it. It was directed by Jiri Trnka. It was stop-motion and released in Czechoslovakia. Finally, the movie that we will be doing next is Disney’s Alice in Wonderland. I don’t hate the movie and I don’t think it is a bad movie, but it is one of the few Disney movies that I don’t really like. I usually get bored when watching it. So, till next time and thank you for reading. I didn’t know about Jabber, the crow. And thanks for defending Cinderella! I hate so much how the Disney Princesses (especially Walt’s three) get so much hatred from modern feminists and people looking for reasons to hate characters. The biggest lesson Cinderella teaches, in my opinion, is how to be patient and happy through difficult situations and that’s a moral that I personally learn from and would want my future kids to learn as well. Yes, she couldn’t run away as the thought didn’t even cross her mind. Like you said, nowadays people wouldn’t even run away from a difficult situation; I know I wouldn’t probably. And I really feel the idea that the movie is promoting “all a woman has to do is get married” is an incredibly flimsy moral to get from the movie and a huge jump to conclusions to even come to that conclusion. Thank you! It’s ok I didn’t know either until I watched the second dvd lol. Me too I know they aren’t perfect, but they really don’t deserve all the slack they get. And, they get a lot of slack. Me too. If I ever have children, I would rather them be like Cinderella than Merida for example. Merida isn’t smart and she’s incredibly mean and selfish. I would rather have nice children lol. I would hear that all the time about why can’t she escape her situation lol? I thought it was common sense why she couldn’t but I guess not. I agree lol. Thanks. Yeah, I deff want my kids to be more like Cinderella than the “modern” princesses, but I usually get hate for saying that, lol. lol It’s because the modern princesses are independent “and better.” “They don’t have romance so it automatically makes them great characters.” no lol I do like Tiana and Rapunzel, but I don’t really like Anna and Elsa. And, I can’t stand Merida lol. Yeah, the marketing version of Cinderella looks terrible. I can’t stand Merida either and while I don’t dislike Anna or Elsa, I don’t really feel that they are good characters. Tiana is a character I don’t love, but I actually don’t have an issue with her in itself….what they put on screen is fine I just feel that the version from the concept art would have been even better. I don’t really like their characters either. I don’t understand all the hype around them. Oh I agree. I really like Tiana as in the character, but I don’t really care that much about the movie. The movie isn’t bad. It just had so much potential. Yeah, it is mediocre overall, especially by Disney Standards. Cinderella is definitely a classic, and one of the best films to come out in Walt’s lifetime. My issues with the film are pretty much the same as yours; Prince Charming and the Mice. You can tell that they put their hearts in this, which I think slowly starts to dim in the 50s. I like them a lot, but I feel like it was during the time where the studio was becoming “corporate” and their work weren’t as creative as the Golden films. Yes that is basically what happened, but I honestly don’t believe if Disney hadn’t become corporate, I don’t think the studio would’ve survived.